From the Winter 2012/2013 issue of Clotheshorse magazine online, Snug is a cozy sweater with ample tucked funnelneck, knit in one piece from the bottom up with flattering shoulder shaping. Cast on at the narrow 1×1 rib hem and knit in stockinette in the round with gentle waist shaping to the short dolman sleeve opening, the body is divided for front and back and knit flat to the neckline, then grafted at the shoulder and finished with an integrated slouchy funnelneck. Short rows make the sleeve opening and shoulder ergonomically correct, comfortable and without excess bunching fabric at the underarm. Each front and back is knit with one continuous strand of yarn, with no binding off, and no picking up stitches for the neck. 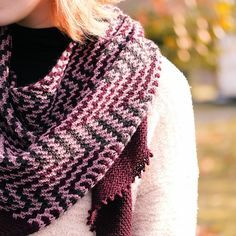 The substantial funnelneck is made manageable by a series of narrowing tucks at the front, which gently pull down the front edge below the chin. The sleeve edges are picked up and finished with 1×1 rib. Size: 30 (32, 34, 36, 38, 40, 42, 44)” bust. 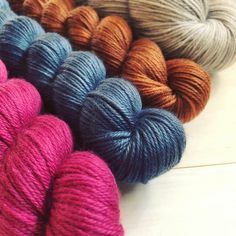 Yarn: Malabrigo Yarn Worsted (100% wool; 210 yards/100g); 3 (3, 4, 4, 4, 5, 5, 5) skeins, shown in Coco; Wooly Wonka Fibers Brigit Worsted (100% organic merino; 181 yards/100 grams); 4 (4, 4, 5, 5, 5, 5, 6) skeins, shown in Toast. Other Materials: US 8 (5mm) 40” circular needle, or size to match gauge; US 8 (5mm) 16” circular needle or dpns for tucks, cowl and grafting; US 6 (4mm) 16” circular needle or dpns for cowl hem; Stitch markers (4); Stitch holders (3); Yarn needle. Gauge: 16 st and 22 rows/4” in stockinette stitch, after blocking. See the entire Cozy Collection from Clotheshorse digital magazine. As of February 19, 2014, Snug is also available on Ravelry as an self-published individual pattern download, with updated yarn information and a photo tutorial for the Tuck stitch. See the new photos using fabulous Malabrigo Yarn Worsted in my new post. Hi Jennifer, I am very impressed with the lovely things you have knitted.